D’Iberville is a city in Harrison County, Mississippi, immediately north of Biloxi, across the Back Bay. 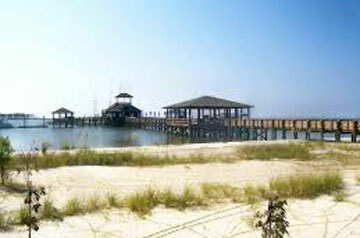 It is part of the Gulfport–Biloxi Metropolitan area. D’berville is an up and coming city that has a thriving new shopping promenade that is still growing. A new mall is coming to D’Iberville and the developer tells us it will have stores that can be found nowhere else on the Gulf Coast. The mall, set to be built at the southwest corner of I-10 and 110, will be nearly one million square feet. That is comparable in size to the Mall of Louisiana in Baton Rouge. The new mall will employ as many as 2,500 people. Plans for what will be known as “The Gulf Coast Galleria” were submitted and Construction is set to start in January of 2015. North of the promenade are numerous new construction neighborhoods that are built in seclusion, but still minutes from town. Unlike Ocean Springs, D’Iberville is further north of the coast, but still a very short drive to Keesler Air Force Base Just hop on the I-110 Loop!